Terence Holland is from South Carolina where his training began with Intermesh Arts and later evolved to The Greenville Ballet and The Dance Shop. He trained at The South Carolina Governor’s School for The Arts and Humanities for 2 years before attending The College of Charleston where he received his B.A in Arts Management and Dance. Terence made history by becoming the first male on The College of Charleston Cougarettes Dance Team and During that time he had the honor to perform for The Dean for The School of the Arts at College of Charleston and was also named to The National Dance Alliance Collegiate Dance Team as well as being soloist for The Robert Ivy Ballet Company. Terence joined Carnival Cruise Line Entertainment Department as a production dancer in 2011. He went on to study at The Alvin Ailey American Dance Theatre School in New York where he performed Mr. Ailey’s classic works “Revelations” and “Memoria” with the Alvin Ailey American Dance Theatre Company. Terence has been in several newspapers and magazines and worked with world renowned artists. 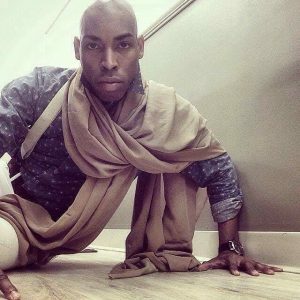 He also enjoys teaching styles such as Stilettos Heels and Voguing!